Here is a link to one of last years ( 2011 )second practice paddle. 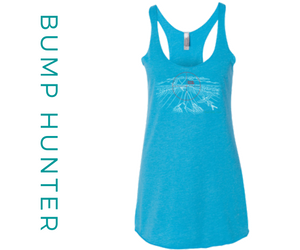 So, grab your stand up paddle board, kayak, 4 man, 6 man, prone paddle board, canoe or anything you can paddle! 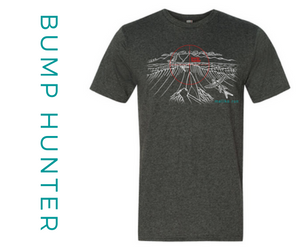 This is your chance to get ready, test your paddle skills, meet some new friends and join the OluKai ohana. The paddle will take the fastest paddler approximately 30 minutes or less to complete and the average time will be about and hour. Take your time, soak in the sun and paddle with your friends. This is not a race, paddle at your capacity. We suggest paddlers carpool and prearrange transportation after the paddle so you can retrieve your car from the Paia Youth and Cultural Center. 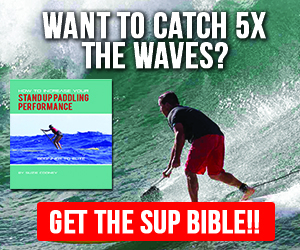 You will need to provide your own board or gear to paddle. 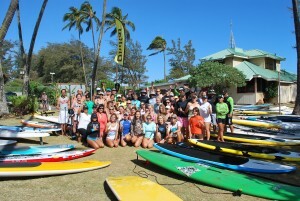 To register for the OluKai Ho’olaule’a Fun Paddle on May 12, 2012, click here. The cost is $20 and includes your entry and luau dinner. 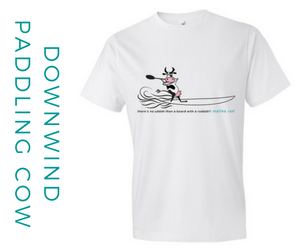 The ‘Ohana Fun Paddle, is a non-timed, non-competitive 3-mile fun paddle designed for all members of the community to get out in the ocean for a good cause. 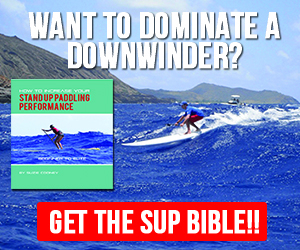 The shorter course is less strenuous, and a great way for paddlers of all skill levels to experience a portion of the legendary Maliko downwind run. No timing chips, no age divisions, just come out and paddle! 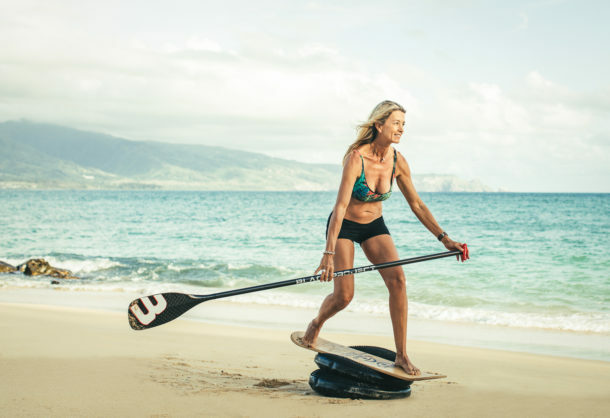 Maui’s own fitness and training expert, Suzie Cooney, will lead paddlers on the 3-mile course. 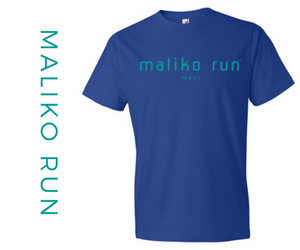 Represent your ‘ohana in coordinated colors and outfits, or wear your best Hawaiian warrior costume. This is meant to be a fun event! 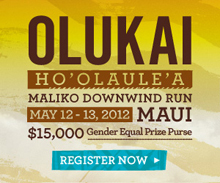 The most festive participants will receive special prizes from OluKai. A portion of proceeds from the ‘Ohana Fun Paddle go to our ‘Ohana Giveback Program benefitting Maui Cultural Lands and Hawaii’s Junior Lifeguard Program. 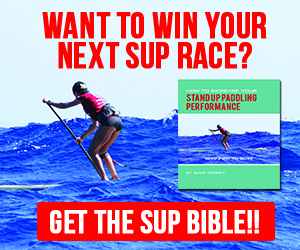 Also for those who are interested in the 8 mile SUP race May 12th or the OC1 race May 13th click here.